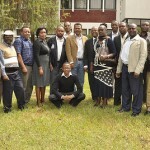 The Bio-Innovate Program held a two-day meeting with the project consortium 3 on ‘Value added bean technologies for enhancing food security, nutrition, income and resilience to cope with climate change and variability challenges in eastern Africa’ at the Ethiopian Institute of Agricultural Research (EIAR) complex in Addis Ababa, Ethiopia on 27-28 June 2012. 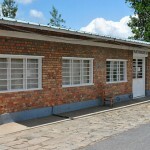 The Kenya Agricultural Research Institute (KARI-Kenya), Ethiopian Institute of Agricultural Research (EIAR-Ethiopia), Institut des Sciences Agronomiques du Burundi (ISABU-Burundi), Selian Agricultural Research Institute (SARI-Tanzania), Rwanda Agricultural Board (RAB) formerly known as Institut des Sciences Agronomiques du Rwanda (ISAR-Rwanda), Sokoine University of Agriculture (SUA-Tanzania), Pan African Bean Research Alliance/International Centre for Tropical Agriculture (PBRA-CIAT) and Trufoods Ltd (Kenya) partners in the consortium project were present for the meeting. Adefris Teklewold, Director of Research at EIAR officiated the opening of the meeting. In his opening remarks, he addresses the importance of beans both as a food commodity and as a cash crop for farmers in Ethiopia and in the region in general giving figures of an estimated 207,000 hectares of land under the crop and about 2.5 million smallholder farmers growing beans. 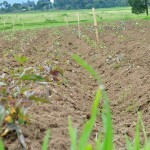 He noted that even after years of research on the crop by many organizations, drought still posed the one of the biggest challenges in bean farming. He noted that after having read the project document, he was happy with the consortium project activities in trying to address drought and enhance reliance of bean to climate change while conserving the environments in drought-prone areas in the region. “This project is expected to contribute to the improvement of bean crop productivity and resilience to climate change and variability in small-scale farming systems and enhance efficiency of bean agro-processing industry to add value to the local bean commodity.” he noted. During the two-day meeting, the partners made detailed technical presentations on the progress of project implementation and achievements and the challenges they were facing within one and a half years of the project implementation process. In general, project partners have achieved some level of success in their project activities and registering results. Two hundred fifty promising bean varieties that combine good canning qualities with drought and disease resistant traits have been identified and are undergoing participatory on farm evaluation for drought, disease resistance, and canning traits. These varieties are also being evaluated for advanced drought-tolerance and physical attributes for canning in different agro-ecological zones in partner countries. 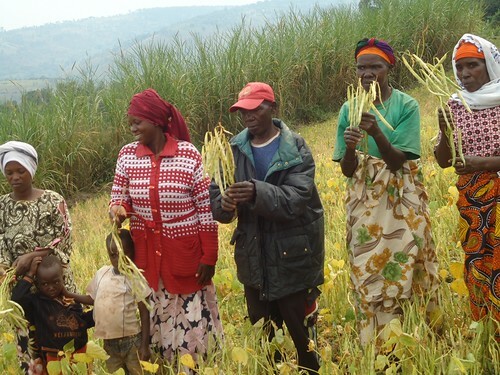 Farmers selecting desirable bean varieties during a farmers field day in Rwanda (photo credit: ILRI/Bio-Innovate). Consortium project 3 has also conducted disease phenotyping for anthracnose, bean common mosaic virus, common bean blight, and angular leaf spot diseases that afflict the bean crop. 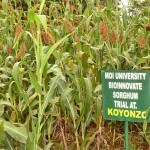 These drought tolerant and disease resistant bean varieties and complementary agronomic management technologies have been disseminated to over 200,000 farmers in the eastern African region. A baseline survey for dissemination of bean technologies has been conducted in the countries participating in the bean consortium. 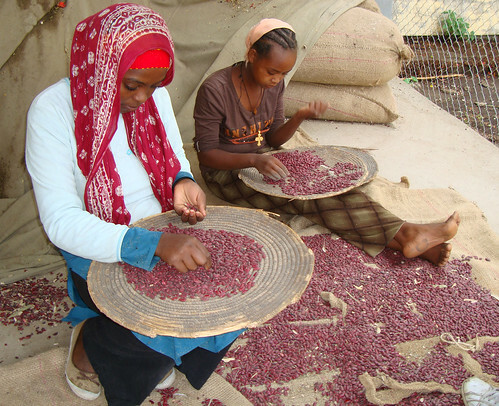 Young women sorting beans after a harvest in Ethiopia (photo credit: ILRI/Bio-Innovate). Canning qualities of the selected bean varieties are being evaluated in collaboration with Trufoods, a private company in Kenya and ACOS Pvt Ltd. in Ethiopia. Trufoods is working with University of Nairobi to achieve desirable canning characteristics in the promising bean varieties selected. In partnership with the company, University of Nairobi is refurbishing an existing pilot canning plant to support the testing of the chosen canning varieties. It was learnt that more stakeholders are envisaged to participate in the project as on farm evaluation offers acceptable canning bean varieties. The project partners have started initiatives for the formation of functional bean platforms in the participating countries. To encourage wider adoption and the use of the varieties the project consortium will achieve by the end of the project, the consortium team is training farmers, extension workers, and seed producers in seed production and business management in the participating countries. 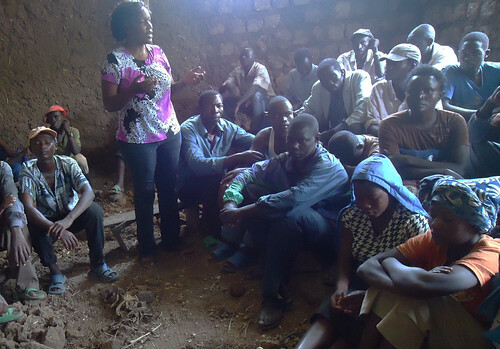 Domitille Mukankubana (standing) from Rwanda Agricultural Board (RAB) a project partner responds to questions from farmers on best practices in bean farming (photo credit: ILRI/Bio-Innovate). Overall, the assessment from the Program Management Team (PMT) is that there has been good progress and achievements despite challenges encountered. However, lack of collaboration among consortium partners was affecting the speed and level of success of the consortium as a whole, and risked duplicating efforts. The PMT in offering its recommendations to the consortium project partners requested them to improve communication within themselves, share information, expertise, and germplasm to maximize synergy and avoid duplication of efforts. The PMT also advised the consortium partners to improve on fund management and utilization following the standard operating procedures (SOPs) developed by the Program as well as adhere to financial management rules as per the contractual agreement and become proactive in submitting their reports and proactive in responding to queries from the Program Management Office (PMO) to ensure timely disbursement of funds to project partners. The PMT advised consortium partners to clearly show Bio-Innovate funded activities and activities funded from other sources while reporting. Seyoum Leta, The Program Manager further advised the consortium team to be more conscious of reporting timelines, and comprehensively and articulately report on progress and achievements, as that seems to be another area of potential weakness. The assessment of the PMO is that through the project is making good progress, it may not be possible for all the key results areas as outlined in the original proposal to be delivered in the remaining time and hence the need for realistic planning. Moreover, efforts need to be made to improve consortium team cohesion and organization in implementing project activities and reflecting the regional nature of the project. The efforts of the principal investigator in this process are encouraging and cooperation from the consortium team members are also required. From wastewater to biogas and clean water: How a project consortium is contributing to climate change mitigation through agro-industrial waste water recycling.